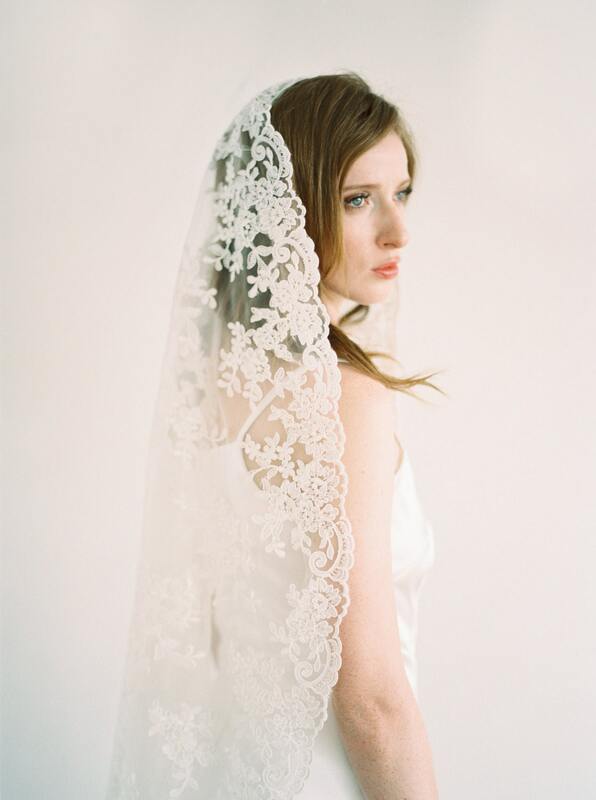 Our Camila mantilla veil is made with an intricate embroidered appliques lace netting. It is delicately trimmed with lace edge all around. 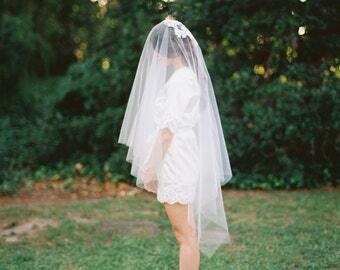 Veils are made to order, please allow 1-2 weeks to create this item.